Harold Kociba, owner of Dizzy Daisy Winery & Vineyard, understands that the backbone of success in the agricultural industry is patience, continual learning and good, old-fashioned, hard work. As a third generation farmer, Harold took over the family dairy farm in Bad Axe, Mich., in 1966, after he married his wife, Janice. 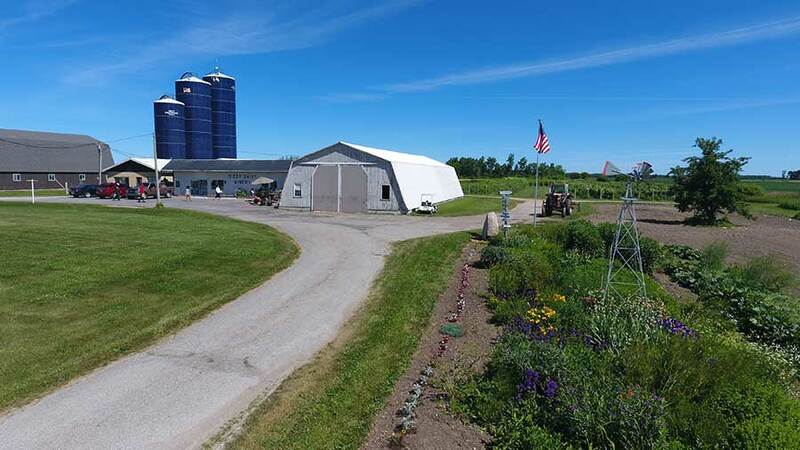 In the 1990s, Harold was looking toward his retirement, and began making plans to diversify his farm. 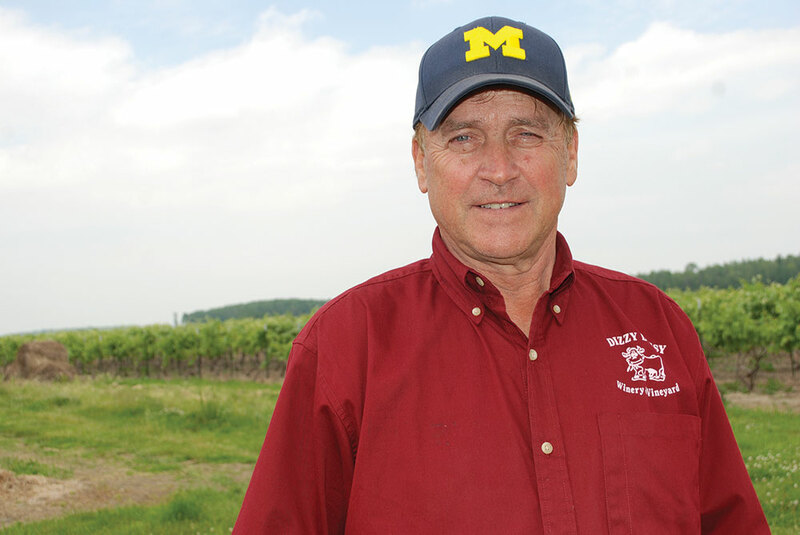 After attending several seminars through Michigan Wine Council, Harold began to think about switching his efforts from dairy farming to grape growing. Using the same problem-solving skills that guided him through raising and milking dairy cows, Harold got to work—learning all he could about winemaking. Bad weather, early frosts, and unpredictable markets didn’t deter him from his goal. While some were skeptical of what could be produced from Michigan’s Thumb region, Harold persisted. Today, Harold and his team at Dizzy Daisy Winery and Vineyard offer more than 75 varieties of wine. Things get creative, Harold acknowledged, when things don’t turn out as expected. For example, a new crop of blends came from unpredictable weather and supply shortages—like their most popular Bad Axe Passion, a white blend with mango and passion fruit. Several varieties are award-winners in their own right, not that Harold brags about his accomplishments. “People seem to enjoy it,” he quietly admitted. Dizzy Daisy continues to diversify, recently dipping their toes into cider making, a venture that’s almost a no-brainer with the state’s fruit-rich growing seasons. When asked what comes next for Dizzy Daisy, Harold chuckles to himself and fills the quiet with deep thought and an inaudible knowing. At the end of the day, no one can predict the future—or the weather—for that matter. Harold just knows that the employees at Dizzy Daisy Winery are always ready to welcome visitors to their vineyard with a nice glass of wine, made with equal parts grapes, heart and soul. I love your wine Harold, we sell it at the Kinde One Stop, my daughter and her friends come wine tasting now and again !! Keep up the good work!